Nestled in amongst the grand terraces which line the streets of this exclusive district, our Brook Street store is a must-see destination for premium shoppers. 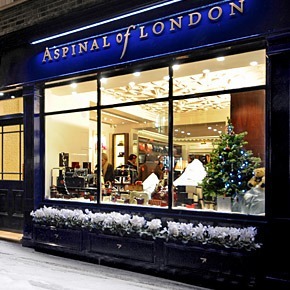 Visit us in the heart of Mayfair, and you can browse our collection of luxurious handbags to your heart's content, or pore over our beautiful accessories; from our pure silk and cashmere scarves to our award winning travel accessories. You'll find the perfect gift thanks to our range of cufflinks, hip flasks and jewellery or treat yourself to a keyring to complement your handbag collection; many of our products can be personalised here in-store. Whether you're a London native or visiting the capital, our Brook Street location is an essential shopping spot.